Morgan and Kelly finalize the menu and make up descriptive tags for each dish before making a delivery. 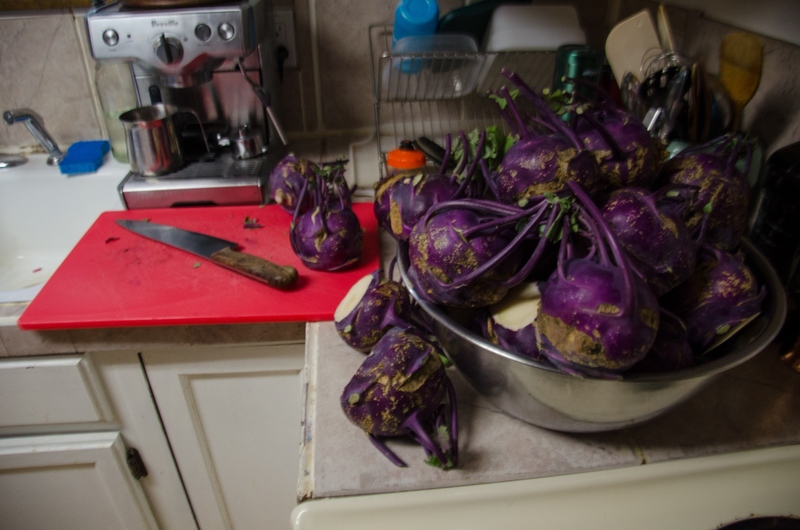 It is common for Kelly to do recipe testing in their home kitchen, before heading to the shared commissary space in Longmont. 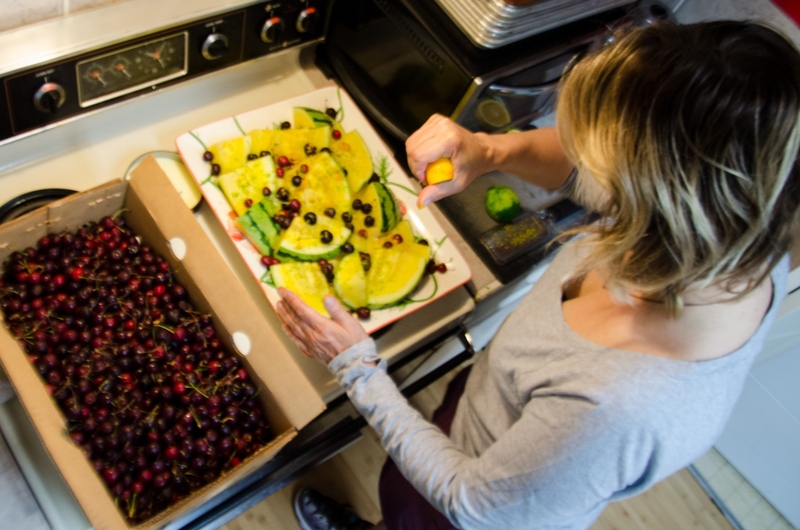 Kelly puts the final touches on a fruit plate (yellow watermelon and cherries, with lime and orange zest) for a group training for the Ironman. 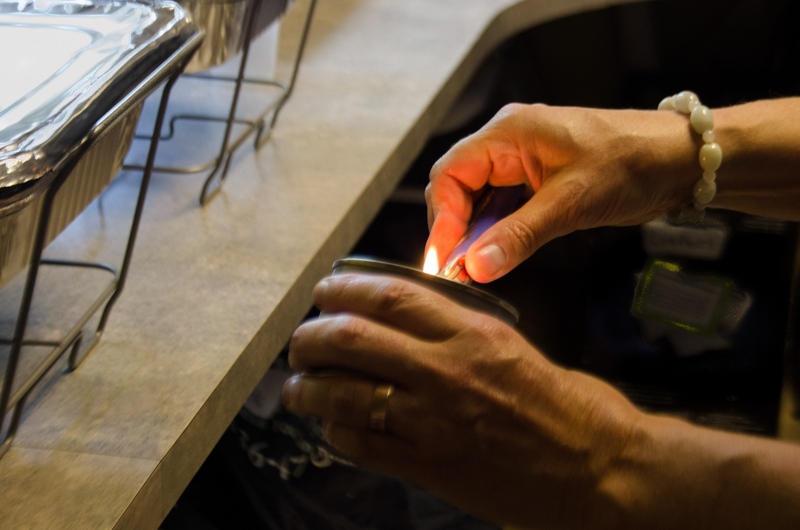 Kelly lights a burner to keep food warm for RAD’s regular weekend lunch delivery to University Bikes on Pearl Street. Kelly and Morgan finish setting up at University Bikes while chatting with a hungry employee. 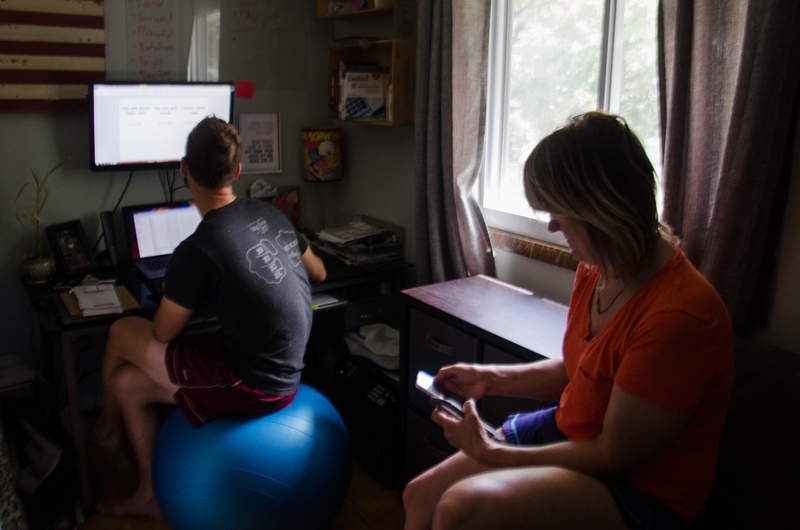 They worked to make a connection between the man’s 14 year old girl, a competitive mountain biker, and a possible mentorship with a local professional they also cater to. 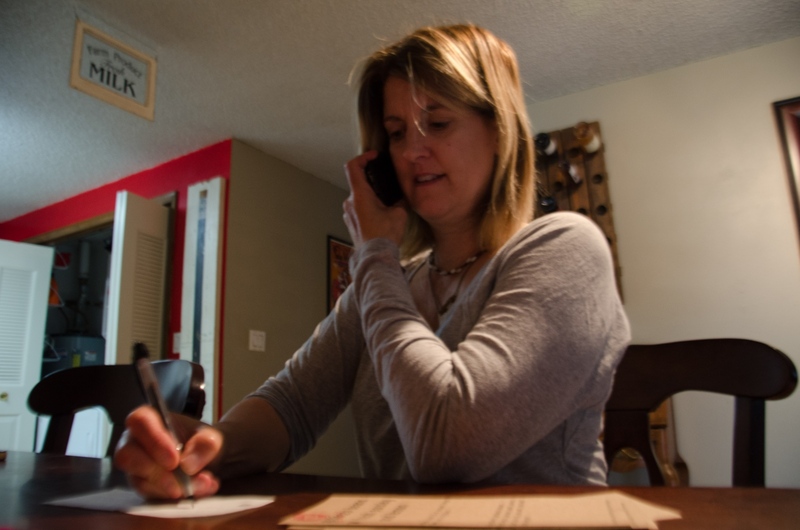 No rest for the weary, Kelly ensures she has all necessary dietary information and preferences in preparing another 15-20 person order. Kelly meets up with Morgan and a local journalist. 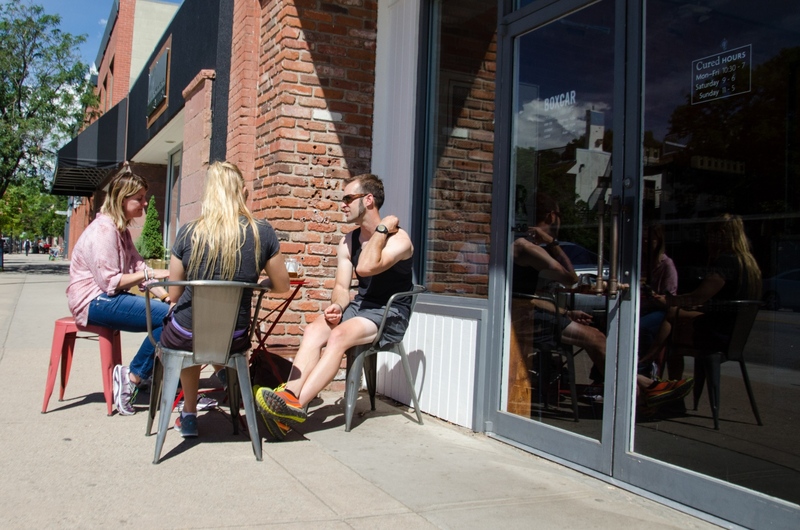 In true Boulder fashion, Morgan’s interview began with a trail run with the young woman, followed by a coffee on Pearl Street. Kelly and Morgan load up the truck. 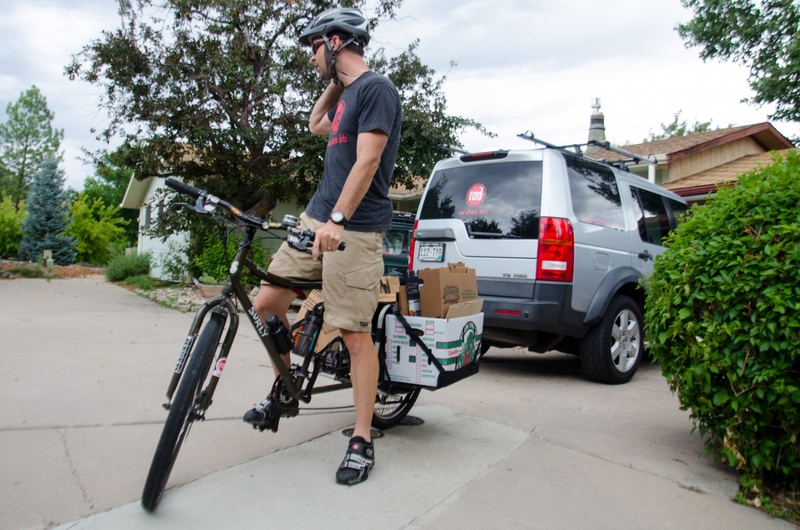 While they deliver by bike whenever possible, they are preparing to serve a party of 15 for Ironman Dave Scott’s Ironman Training Camp. Morgan and Kelly discuss how to set up as Dave Scott finishes up a nutrition lesson in a Boulder park. 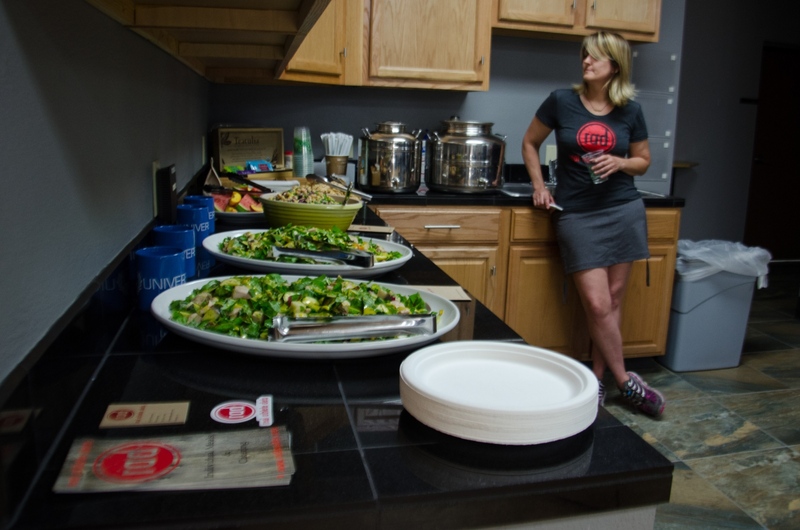 Following a great and refueling meal, including a description of the health benefits of each dish, Kelly prepares to-go boxes for the athletes. Kelly looks for the right pots and pans in the shared commissary space in preparation for a full list of orders for the next day. 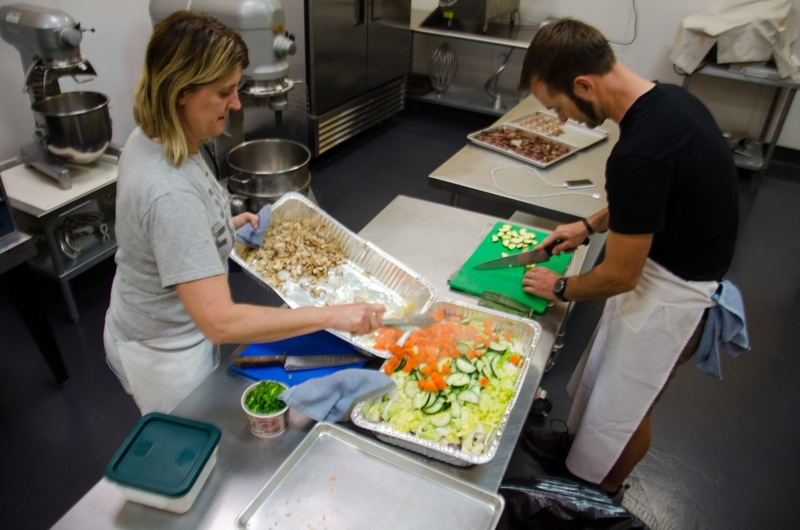 Chef Kelly and Morgan chop, cook and mix a variety of ingredients to create the ordered dishes to deliver. Kelly ensures that the set up is complete, from the dishes to Hibiscus Tea, as the Ironman training athletes return from a long bike ride to a lecture about bike fittings at Retul. The athletes, including a group from Brazil, refuel while learning about how to minimize draft and maximize speed on their bikes. Keeping it “green,” Morgan rides out the recycling. 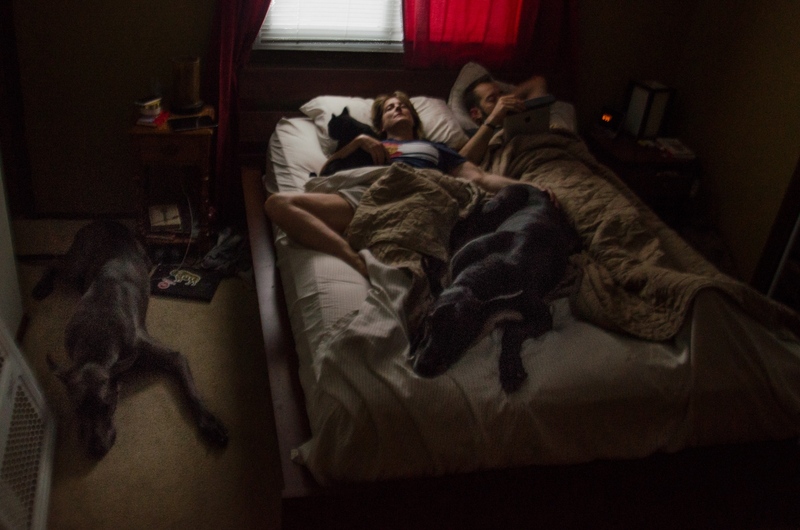 Morgan and Kelly have a moment to themselves…and three of their four pets…before getting up and doing it all over again. Real Athlete Diets (RAD) is a company run by Kelly and Morgan Newlon. Kelly and Morgan, married for five years, began this company in 2014. 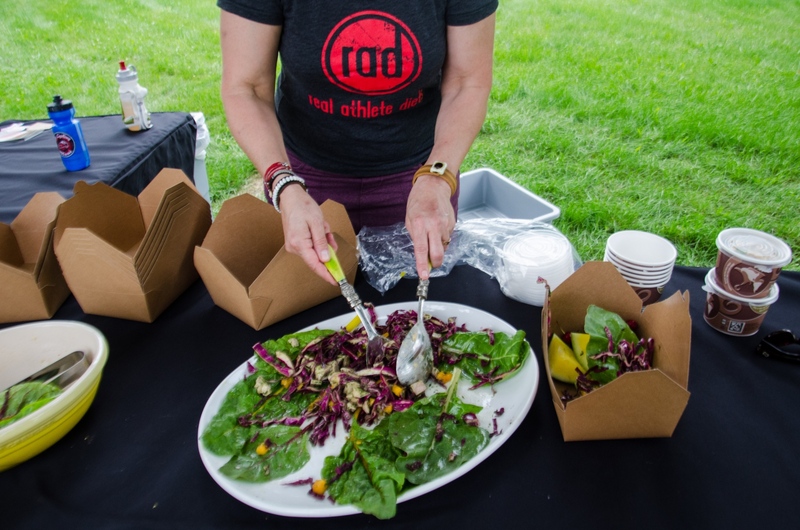 RAD delivers organic, fresh meals meant to fuel and sustain athletes in the Boulder area. Needless to say, they have the perfect audience in this town – cyclists, runners, climbers and triathletes abound. Morgan handles the business side, and Chef Kelly is responsible for the food creations. With Kelly and Morgan as the entire staff, there is never a dull moment as they receive orders 24/7, plan menus for different dietary preferences, restock on the freshest produce from the farmers market or scouring local farms, take care of their two Great Danes and two cats, prep and cook food in a shared commissary space, deliver their products, and educate their clients on the food and it’s nutritional benefits. 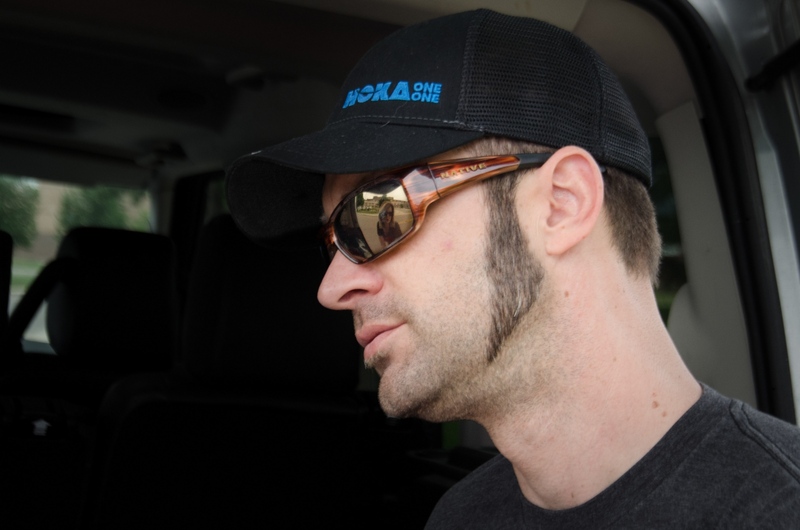 Both active athletes themselves, Kelly, a long distance runner, and Morgan, an avid cyclist, saw the need for a company like theirs. 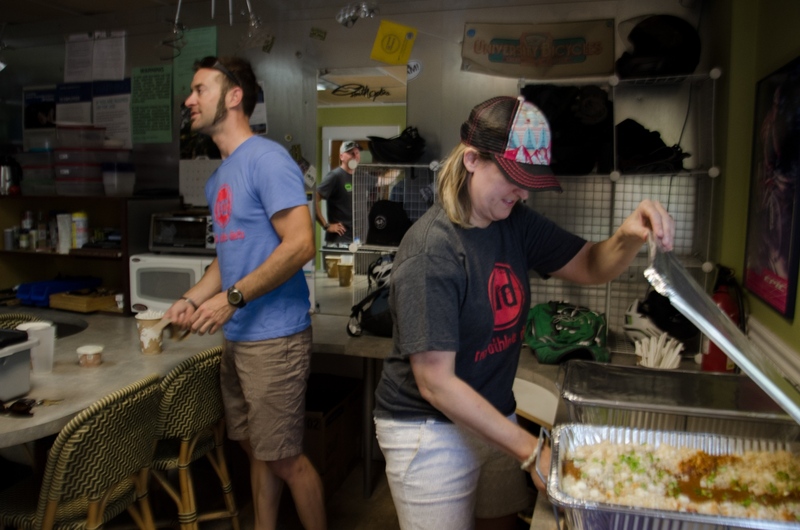 The business continues to grow as word spreads about their awesome food and “green” mentality, including bike deliveries when possible and completely compostable cutlery. 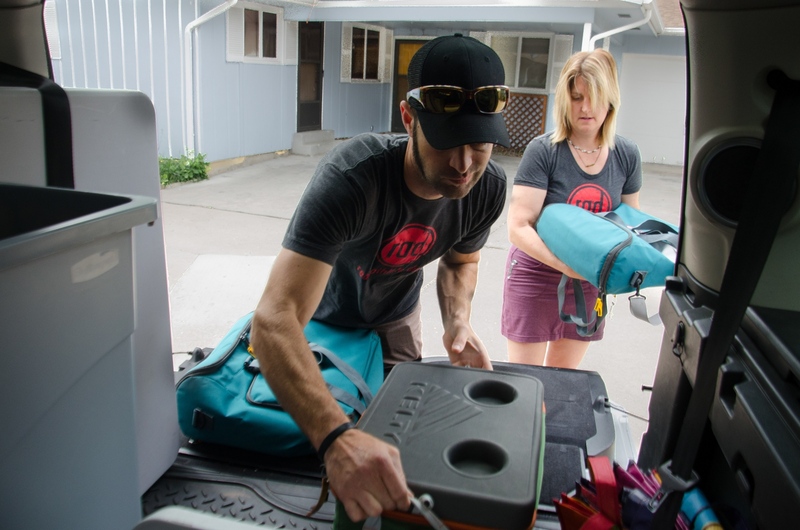 Their flexibility of delivering to individuals as well as large groups has gained them many clients, including University Bikes and multiple camp programs, such as VIDA mountain biking and six-time Ironman champion Dave Scott’s Triathlon training.